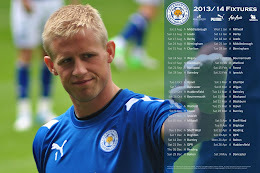 Leicester City have been hit with a double-blow as they gear-up for the 2012/13 nPower Championship campaign. Sean St Ledger, substituted early-on in this week's friendly fixture at Burton Albion, will be out for up to two months after sustaining a medial ligament strain at the Pirelli Stadium. The match was the Republic of Ireland international's first for the Foxes in this summer's schedule of pre-season games, following his stint in Poland and Ukraine with the Boys in Green. Meanwhile, Lincoln City have cancelled their pre-season friendly with Leicester on advice from Lincolnshire Constabulary. A spokesman for the force said that he had recieved worrying information regarding the game. "We understand that fans will be disappointed about the cancellation of this match but it is a friendly fixture rather than a league game and our primary concern is the safety and welfare of the general public," said chief inspector Kieran English, "We have carefully assessed the plans and preparations we have in place for such events and have concluded, with regret, that the risk to the public is just too great. We are very grateful to Lincoln City Football Club for agreeing to cancel this fixture on the grounds of safety of their fans and the public of Lincoln."